I am writing on behalf of Clean Air in London (CAL) to respond to the consultation by the Department for Environment Food and Rural Affairs (Defra) on air quality plans to meet European Union (EU) limit values for nitrogen dioxide (NO2) in England (Draft AQ Plans). Thank you for the opportunity to do so. 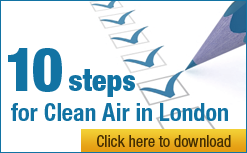 Information about CAL including its supporters can be found on its website at cleanair.london. You have asked specifically for comments on ‘the extent to which [the Draft AQ Plans] represent correctly the efforts underway at national, regional and local level to achieve compliance with the NO2 limits as quickly as possible’. Without doubt, the Draft AQ Plans fail to reflect the current (inadequate) situation most particularly by: overstating current plans; and understating current challenges. For example: in relation to Heathrow, local plans refer to action initiated in 2006 on road pricing which was never pursued; and in respect of challenges there is no attempt to mitigate the air pollution impacts of the Olympic Route Network in 2012. CAL guesses that Defra hopes to submit AQ Plans for a number of zones to the European Commission by 30 September 2011 as part of a time extension notification to delay compliance with the NO2 limit values (TEN) in those zones and/or agglomerations. In CAL’s view, the Draft AQ Plans fail to justify a time extension for NO2 in London or anywhere else in the UK and do not meet the requirement to keep the exceedance period as short as possible. World Health Organisation Air Quality Guidelines (AQG) offer guidance in reducing the health impacts of air pollution. Two EU limit values for NO2, which align with the AQG, have been in legislation since 1999 and required to be met under European and UK law since 1 January 2010. These are an annual mean concentration of 40 micrograms per cubic metre (μg/m3) and an hourly mean concentration of 200 μg/m3 not to be exceeded more than 18 times in a calendar year. London has the highest mean concentrations of NO2 of all 27 capital cities in Europe. Concentrations of NO2 in Marylebone Road far exceeded legal limits in 2010 with an annual mean of 98 μg/m3 and 534 exceedances of the hourly standard. Concentrations are likely to be similar in many other parts of London. The Government has known for many years that these obligations would be challenging to meet and yet has failed to act appropriately. It seems to have put its faith in European engine emission standards even when these were shown not to have been performing as expected. Worse, the current and previous Governments have encouraged the rising volume of traffic on UK roads and the progressive dieselisation of the light vehicle market since 2000. Instead we need fewer and cleaner vehicles. The EU directive on ambient air and cleaner air for Europe (AQ Directive) entered into force on 11 June 2008. It reconfirmed the NO2 limit values and included a time extension mechanism. The time extension mechanism required certain actions to be taken by 1 January 2010 and allowed Member States to apply for a time extension until 1 January 2015 to comply with NO2 limit values subject to strict conditions. Key conditions include the need to: show all possible actions were taken to meet the NO2 limit values by the original deadline; and ‘demonstrate how conformity will be achieved with the limit values before the new deadline’. Having signed up to the new AQ Directive as recently as 2008, the Government is now saying it can’t or won’t comply in London with the NO2 hourly limit value until 2015 and the NO2 annual limit value until 2025. This is despite the Mayor of London showing as recently as December 2010 how the NO2 limit values could be complied with in full in London by 2015 and The City of London Corporation publishing a report showing how the NO2 limit values could be attained even in the most polluted streets by 2015. There is no evidence in the Draft AQ Plans to support a time extension beyond 1 January 2010 to comply with the NO2 limit values. In contrast, there is evidence the Government is or plans to lobby the European Commission to scrap or weaken the NO2 limit value(s). Commissioner Potočnik, Commissioner for the Environment, has made clear ‘limit values or timetables are not negotiable’. The UK therefore faces the prospect of infraction action by late 2011 or in early 2012 in the months leading up to the Olympic and Paralympic Games and fines of perhaps £300m per annum in due course thereafter. CAL is concerned particularly that the Government’s steps to deal with the problem are not yet backed by adequate transport or other measures. CAL is also concerned that your Draft AQ Plans do not include specific measures for 2012 to protect public health and comply fully with legal standards e.g. during the Queen’s Diamond Jubilee and the Olympic and Paralympic Games. In CAL’s view, the only measure likely to meet substantially all the above requirements is a network of additional ‘Clean Air Zones’ for road transport in central and inner London and around Heathrow. It should be combined with ambitious other measures. Further details of CAL’s proposal were set out in its response to the City of Westminster’s recent consultation on its Draft Air Quality Plan. CAL has attached that response which forms part of this response to Defra. iv. wants the Government and the Mayor to act with urgency to reduce through all necessary measures harmful transport emissions and other air pollutants to comply in full with limit values by their due deadlines. In practice, this means that if the Government and the Mayor make all necessary efforts now, the UK can still avoid EU fines. The Government fails to make any case for a time extension to comply with EU limit values for NO2 in London (and fails also for all other UK zones for one or more reasons). CAL cannot understand why the Government has produced Draft AQ Plans that show breaches of NO2 limit values in London until 2025 unless it is part of some elaborate and misguided ruse. ix. meanwhile it has been widely known that other Member States were acting to reduce harmful air pollutants. For example, Germany had some 40 inner low emission zones in place in German cities and other hotspots by 1 January 2010. It is clear the Government has known for a long time that it must act to reduce concentrations of NO2. The World Health Organisation (WHO) Air Quality Guidelines (AQG) Global Update 2005 was published in 2006 to offer guidance in reducing the health impacts of air pollution. The AQG for NO2 are an annual mean of 40 μg/m3 and a one hour mean of 200 μg/m3. CAL urges the Government to accept that the NO2 limit values, which are the same as the AQG above except that the former allows 18 hours over 200 μg/m3 in a year instead of being an ‘absolute’ level, are important for the protection of human health. EU legal standards to protect public health in ambient air have been in legislation since 1999 to be complied with by 1 January 2010. The UK reconfirmed its agreement to these standards, subject to being able to apply for (but not necessarily obtain) a time extension until 1 January 2015, as recently as 2008 when it approved the AQ Directive. The two EU limit values for NO2 to be attained and not exceeded are an annual mean of 40 μg/m3 and an hourly mean of 200 μg/m3 not to be exceeded more than 18 times in a calendar year. Concentrations of NO2 in Marylebone Road far exceeded legal limits in 2010 with an annual mean of 98 μg/m3 and 534 exceedances of the hourly standard. Concentrations are likely to be similar in many parts of London. • ‘demonstrate how conformity will be achieved with the limit values before the new deadline’ (Article 22). There is a separate requirement to produce a short term action plan to ‘set out appropriate measures, so that the exceedance period can be kept as short as possible’ (Article 23). Further, even if a time extension application for NO2 was successful, the UK would need to ‘ensure the limit value for each pollutant is not exceeded by more than the maximum margin of tolerance’ e.g. an annual mean concentration of 60 μg/m3 throughout the time extension period (Article 22.3). The consultation documents suggest this may not be achieved throughout London until shortly before 2020. Defra’s consultation documents make clear that it does not expect to comply with the NO2 limit values throughout London until 2025. The plans in the consultation documents make clear there is insufficient evidence for the UK to seek to postpone for up to five years from January 2010 the compliance date for the NO2 limit values. Given the UK is already in breach of the NO2 limit values in London, with no sign of them being complied with before 2025, the UK faces infraction action from the European Commission. The UK must report breaches of the NO2 limit values in London for calendar 2010 to the Commission by 30 September 2011. The Commission could commence infraction action at any time thereafter including in the months leading up to or during the Olympic Games and Paralympic Games. CAL encourages the European Commission to commence infraction action at the earliest opportunity in the hope it forces the Government and the Mayor of London to act to reduce air pollution and comply fully with air quality laws throughout London. CAL understands that Transport Minister Norman Baker indicated at an Environmental Protection UK conference titled ‘The role of Sustainable Transport in Public and Environmental Health’ on 29 March 2011 the Government would be lobbying the European Commission to scrap or weaken the NO2 limit value(s). CAL is dismayed the Government should be seeking to delay legislation that it signed up to as recently as 2008 to protect public health and improve the environment. CAL supports Commissioner Potočnik in insisting upon full compliance with limit values including deadlines. CAL understands the Government is proposing in the Localism Bill to take powers to be pass EU fines to lower tiers of Government (e.g. the Mayor of London and/or local authorities) which may seek to pass them on further e.g. to businesses and/or residents. CAL is deeply concerned that London and perhaps its businesses and residents face a financial risk of huge fines due to the failure of the Government and the Mayor of London to comply with air quality laws. CAL finds totally unacceptable the failure by the Government and the Mayor of London to comply with air quality laws which are in place to protect public health. CAL wants the Government and the Mayor of London to comply fully with air quality laws. In practice, this means that, if they make appropriate efforts now, the UK can still avoid EU fines. The consultation documents for the Draft AP Plans show that parts of 40 of the 43 UK zones are not expected to have achieved full compliance with the annual NO2 limit value in 2010. Parts of three of the 40 zones are also likely to be non-compliant with the NO2 hourly limit value in 2010. The consultation documents go on to show that of the 40 zones with exceedances in 2010, compliance may be achieved by 2015 in 23 zones, 16 zones are expected to achieve compliance between 2015 and 2020 and that compliance in the London zone is currently expected to be achieved before 2025. The three zones which exceeded the NO2 hourly limit value in the 2008 assessment are Greater London, Glasgow and North East Scotland. Crucially though, Defra fails to comply with the objective conditions necessary for a time extension in respect of any zone. CAL notes that the Defra’s ‘Draft Technical Report’ titled ‘Air Quality Plans for the achievement of EU air quality limit values for nitrogen dioxide (NO2) in the UK’ is wrong to refer on page 33 to Phase 4 of the London low emission zone (LEZ) requiring all HGVs and buses to meet Euro IV standards in 2015 for PM10 emissions. In fact Phases 3 and 4 are both due to enter into force on 3 January 2012. It seems the Draft AQ Plans include two measures from the Mayor’s AQS which are equivalent to the national LEZ scenario i.e. Transport for London’s Bus [Selective Catalytic Reduction] strategy and LEZ phase 5. No account seems to have been taken of the 12 or so other measures listed by the Mayor as needing to be implemented to ensure compliance with the NO2 limit values by 2015 as required by law (if a time extension is obtained or now if not). It seems extraordinary that the national LEZ framework is still ‘currently under investigation’ when a similar scheme has been in force successfully in some 40 cities in Germany for more than 18 months. CAL considers it very odd the Government is looking for reasons since 1999 or 2008 for not complying with NO2 standards by the due deadlines (e.g. the ‘non-performance of the Euro engine emission standards) but not those for complying faster [or perhaps with tighter standards] e.g. in respect of climate change co-benefits and health. This smacks of looking for excuses and unilateralism. Worse, the current and previous Governments have failed to act or have even encouraged the rising volume of traffic on UK roads and the progressive dieselisation of the light vehicle market since 2000. It is clear we need fewer and cleaner vehicles in the most polluted parts of our cities. “Nevertheless, the Mayor has a reasonable expectation that the Government will implement such  measures, and that combined with other policies and proposals in the Strategy, they will achieve the objectives of the National Air Quality Strategy and relevant EU limit values in Greater London.” See Paragraph 5.3.10 on page 158. “Together with the proposals in Chapters 3 and 4 of this Strategy, and reduced pollution blown into London from outside the capital as a result of national measures, it is likely that the  measures listed above would lead to all of outer and inner London being compliant with NO2 limit values in 2015. This would mean that only a few locations in central London would still be in breach of NO2 limit values in 2015. At these locations the Mayor is proposing further close joint working with the Government and boroughs to apply targeted local measures to ensure limit values are met by that date. The measures would focus on NOx [oxides of nitrogen] at source, including targeted programmes for roads and the adjoining built environment in the affected areas. The end result of all these interventions would deliver NO2 compliance by 2015 but it must be strongly emphasised that timely implementation, adequately resourced will be necessary to achieve this objective.” See paragraph 5.3.13 on page 158. The Mayor has made clear therefore it is possible to comply with the NO2 limit values by a new deadline of 1 January 2015 i.e. sufficient to obtain a time extension to do so and avoid the prospect of fines. CAL wants the underlying sources of air pollution in London to be addressed by the Government and the Mayor of London in order to protect public health and ensure full compliance with air quality laws and avoid EU fines. In CAL’s view, the use of dust suppressants, for example, to tackle hot-spots and hot-routes is flawed because it masks the problem and is not a sustainable or proportional response to such a serious problem. • exclude in a Phase 2 all pre-Euro 4/IV diesel vehicles (except Euro 3/III with a diesel particulate filter (DPF)) from the Central Congestion Charging Zone by 30 September 2012. Such a scheme would require little more than: zone signage; windscreen stickers on public transport vehicles for which the emission standards are well known; and an enforcement mechanism. Phases 1 and 2 would be similar to the standard in place in Berlin since 1 January 2010. CAL estimates that this would exclude up to: 13.5% of London Transport buses; 2.8% of taxis; and 26.2% of diesel cars in Phase 1. The Government should provide financial support for taxi drivers and others. The CoL Report showed that Phase 1 should achieve full compliance with the PM10 daily limit value even in the most polluted parts of London (e.g. Upper Thames Street) and provide a margin of safety in case weather is adverse (e.g. hot). • exclude all pre-Euro 6/VI diesel vehicles from central and other parts of inner London by 1 January 2015. The CoL Report showed that such an approach would achieve full compliance with the NO2 annual mean limit value except in one or more of the most polluted streets in London (e.g. Upper Thames Street) and provide a margin of safety in case weather is adverse (e.g. hot). CAL is not aware of any other report which has shown how the NO2 limit values can be achieved by 2015 as required by law. CAL is aware that TfL has produced a report titled ‘Stricter emissions standards for central and inner London: a provisional assessment of potential feasibility and effectiveness’ dated June 2011. This report admitted that a Berlin style zone would be ‘quick and inexpensive to implement’ but then did not consider such a scheme. The report which dismissed a central or inner low emission zone, primarily on cost grounds, did not consider: a quantification of benefits; the need to avoid transport chaos during the Olympics; or the need to comply cost effectively with air quality legal deadlines. • ‘The original central London congestion charging zone has been identified as a potential location for a local low emission zone due to the high concentrations of PM10 and NO2 in the area and because it is an established ‘zone’. TfL will work with boroughs and other stakeholders to assess the feasibility and cost effectiveness of potential options’ paragraph 3.12.4 on page 100). Of course, CAL would like to see the Government and the Mayor of London implement scrappage, abatement and incentive schemes and/or other mitigation measures for which benefits should far exceed costs. For NO2, for example, the MAQS lists on pages 153 to 159 some 14 measures that should be taken by 2015 to reduce concentrations of that pollutant. The CoL Report also suggests other measures that could be adopted (e.g. the use of biomethane and electric vehicles). If these other measures are implemented by 2015, it may be possible to delay for a short time the implementation of Phase 3 of the Clean Air Zone. However, please be in no doubt, given the scale of the public health and legal failings, CAL considers the three Phases should be implemented by the dates mentioned above whether or not the Government and/or the Mayor of London and/or Transport for London play their part in mitigating the impacts. CAL is very supportive of measures to increase walking and cycling. In CAL’s view, current efforts are no more than a drop in the ocean compared to what is needed. Please address this omission in the final AQAP. CAL notes your proposals to tackle emissions from buildings and development. Please amend the Draft AQAP throughout to take full account of the Mayor of London’s London Plan published recently e.g. in respect of biomass boilers. • consider cost-effective ways of minimising emissions from back-up generators. The Draft AQAP needs also to tackle the impact of Crossrail during construction and include measures to offset the impacts on local air quality. CAL set out the above proposal and others in a response to the City of Westminster’s Draft Air Quality Action Plan dated 22 July 2011 on the approach needed to ensure full compliance with air quality laws in London. That response is attached and forms part of this response to Defra’s Draft AQ Plans for NO2. iv. Ministers have indicated they plan to seek the further postponement or non-enforcement of the NO2 limit values. What specifically is the Government seeking and through what mechanism? In practice, this means that if the Government and the Mayor make all necessary efforts now, the UK can still avoid EU fines. CAL cannot understand why the Government has produced Draft AQ Plans that show breaches of NO2 limit values in London until 2025 unless it is part of some elaborate and misguided ruse. Defra’s own analysis makes clear that road transport emissions, and bus and taxi emissions in particular must be reduced sharply in the most polluted parts of London if public health is to be protected, air quality laws are to be complied with and EU fines are to be avoided. In CAL’s view, the only measure likely to meet substantially all the above requirements is a network of additional ‘Clean Air Zones’ for road transport in central and inner London and around Heathrow. I would welcome the opportunity to discuss this submission with you. CAL has provided advice to a number of other organisations on their submissions.